I recently ordered a canvas print from Snap Mad, so I thought I'd do a quick review. I ordered the print on Monday evening, it was shipped on Wednesday, and I received the print on Friday morning, so quite a quick turnaround. The print arrived wrapped in cardboard in a thin layer of bubble wrap. Perfectly adequate in my opinion. I thought the print quality was fine, the only problem I had was that there was a small blob of dark ink in the top left corner of the image. I picked the blob off, but it still left a dark mark. 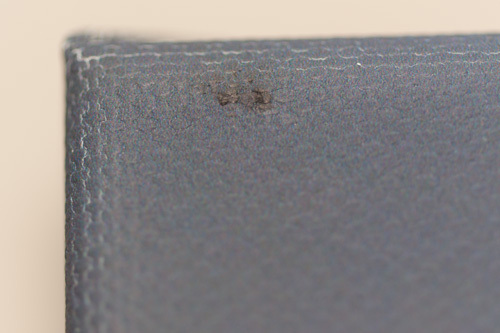 The mark is only quite small though, so not a big problem as far as I'm concerned. At £20 including postage for a 24" x 16" canvas, I don't think you could find a better deal elsewhere. All of Snap Mad's prices are good value, you can see the price list on their website: SnapMad.com Price list. I would also like to try getting a large standard print done by SnapMad.com, but the problem is in that a standard print needs to be framed. And large frames tend to be quite expensive. The canvas prints don't require any extra cost in the form of a frame, but unfortunately SnapMad.com don't do Canvas prints in sizes larger than 24″ x 20″, whereas their standard prints go up to 45″ x 30″. The only the other problem with Snap Mad prints is that 3:2 is the widest aspect ratio they offer. For panoramic prints you either need to crop to 3:2 or split the image into sections and then order each section as a separate print. e.g. An image with 5:2 aspect ratio could be printed as three 20″ x 24″ portrait prints. 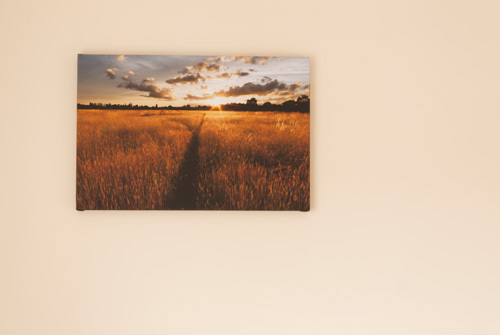 Update: SnapMad now offer Canvas prints in sizes up to 45″ x 30″ and in panoramic sizes. Just to let you know SnapMad now do bigger sizes and panoramic too… still cheap as wood chips.